POSTED BY shubhra tripathi ON 11-Mar-2019. One of the key elements and also a general priority for a brand, especially for a business that has just started out and looking for a greener meadow, is a good website design. Honestly speaking, in this highly competitive digital world, a web design can be that ‘one-thing’ that pushes you above the rest or pulls you down. The design that you put on a website matters, because it reflects the personality of your brand and gives an insight on how professional you are. Let’s face it; with an internet population of more than 7 billion users and websites being the new storefronts, a bad website design certainly gives a silent message that you don’t care much about the experience of your potential customers. A bad first impression might lose you a potential customer! But hey! A great first impression on your business website might help you convert a potential customer and who knows, you might even keep him close for life! In this article we will learn the key elements that we as a brand need to incorporate in our website designing endeavors. So without any further ado, let’s get into the content! A website that is easily navigable tremendously helps to increase the retention rate of your website. This results in your visitors staying longer on your website, exploring and discovering information about your brand or business. If a visitor finds it tedious to go through your website and does not find what it landed on it for, he may ‘bounce’. A bounce occurs when a visitor on your website only views a single page and leaves. With easy to follow directions, established through strategic website navigation, customers find it effortless to go through the conversion funnel – smoothening the road to a checkout or a subscription. We all need things to be lightning-fast, don’t we? With a high speed technology like a smartphone in our hands, clear and concise categories aids to a rapid access of the desired information on your website. Who doesn’t want to read a highly attractive text? In the digital world, presentation is the key. Your choice of font and other typographic details matter. These aspects of a website design should go along hand in hand to deliver an accurate message to your niche. Generally, your visitors will tend to remember the delivered message when it is concise and provides great value. However, one must refrain from overdoing things. A website that has too much content and design will look haphazard and can adversely affect your conversion rates. But, how? A webpage that is visually cluttering may be difficult to read, which will make the visitors lose interest in your content, and eventually, lose interest in your business website. It is best to have a content strategy that streamlines with your goal. Not just that, even leaving empty spaces that let the visitor’s eyes rest can work well for you! What is one thing that sets you apart from the competitors of your niche? Your logo! If your business or brand has a logo that goes on all the products and services you offer, then the logo should also be integrated into the website design for the sake of consistency. We can only imagine how important it is for your target market to recognize your brand or business in all the mediums. Uniformity, not just in design but also in the content, matters. If there’s inconsistency between what you put up on your website and what you really offer, your customer’s might get confused and sometimes suspicious, consequently retreating from buying your offerings. As mentioned earlier, your website design will either make it for you or break it for you. One of the questions that you SHOULD ask yourself when you are done with designing your website is ‘Whether Am I going to engage with it?’ If the answer is NO, then you must go on with making changes. 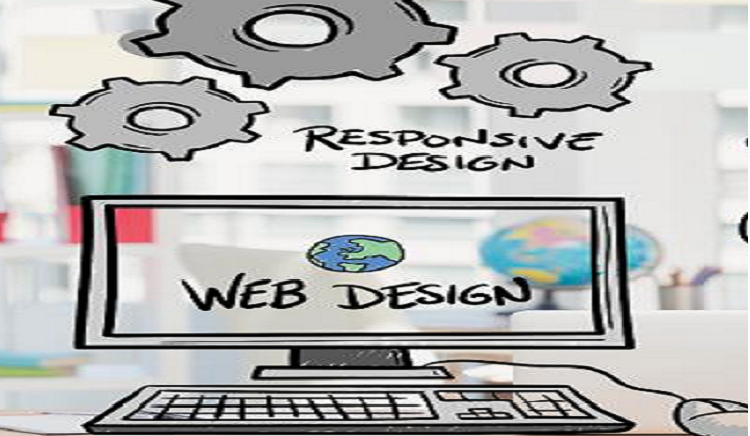 Make your website more appealing to the user that they cannot resist from engaging with it. Every factor which might contribute in making your website more engaging should be measured carefully and incorporated wisely. Keeping the layout simple has worked wonders for many online businesses. There’s a misconception with making a simple website design. Simple doesn’t mean it has to be boring, but it means that a major focus should be on the essentials. Try going for clean, functional layouts that make your website quick to load and navigate. Think of it like this – When you sleep your website works like a sales person. While creating content for a website, one should take care to make the content look natural and real. The more you fill your website with marketing-speak and jargons, the less likely your customers are going to engage with your website. Web designers need to understand the fact the most comfortable way to read text on a webpage is from left to right. Since most of the visitors start reading from upper left area, it gives a lot of leverage to the marketers to put up important information in the attention prone areas. You sell what you show, therefore it is absolutely necessary to provide valuable information in those first 5-6 seconds when a visitor lands on your page. When you utilize the visible areas of the website to put up important business details, your search engine optimization also improves. Incorporating business related keywords in the HTML text improves the credibility and certainly helps to improve your ranking in the SERPs. In this Digital Age, when accessibility is coupled with speed and technology, businesses and brands can create wonders in the form of Online Website. When you open up to your customers through a platform which is 24/7 accessible, you grow in the eyes of your niche and credibility shoots up through the roof. With a well-designed and well-managed website, businesses can win the trust of their potential customers which results in Higher ROI. When your website design becomes user-friendly and welcoming, you not only take a huge leap towards building a great online presence, but you also begin to reach the hearts of your customers.